I finished this quilt a few weeks ago but have been having problems getting good photos of it. These are probably the best I have. 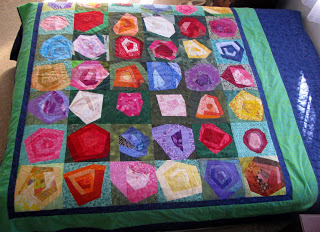 I love the cheerful colours in this quilt. Where can I get the instructions for this block please, they look amazing.